Pick up some manure for your garden and help kids playing sports in East Vancouver. Pretty darn easy. Event happens between 9:00 am and 1:00 pm at 1025 Slocan Street in the Garibaldi Annex Parking Lot at the corner off Slocan and Napier. Cost is $5 per 5 gallon bag. If you come with your own wheelbarrow before 11:00 am, we hear there’s a discount in it for you. If you are getting married soon and have a budget in mind, then you will want to check out the upcoming Bridal Swap at the Croatian Cultural Centre this Sunday, March 11th. For tickets, visit Eventbrite. Note there are different times and pricing depending on whether you wish to be an early bird and get first dibs on items in which ticket prices are a bit more. Strange Fellow Brewing is hosting an interesting event complete with crepes, beer and live music from 2:00 pm to 5:00 pm. This is a family friendly event, Children are welcome under supervision of adults, of course. The After Party kicked off this week at The Cultch. If you want to know what a wild girls night is all about and the things friends do for each other, check out this production. To learn more check out Nicole … review. Several shows were sold out before opening. So this show is on your list, visit The Cultch for tickets. The Settlement Building is host to a very cool event March 15th called Art Party! This is a fundraiser for Creative Life. This is a Community Arts initiative that creates opportunities for marginalized youth in East Vancouver to experience transformation through the arts. For a $10 ticket, you have the opportunity to check local visual artists while enjoying music, drinks and food. To purchase tickets, visit Eventbrite. For more information about the organization, visit www.creative-life.ca. Breaking Boundaries is back at Café Deux Soleils this Saturday, March 10th. Looking to see a free movie? Britannia Community Centre is showing Sideways this Sunday, March 11th at 6:00 pm. The Winter Farmer Markets continue with Saturday’s being held at Nat Bailey Stadium from 10 am to 2 pm and Sunday at Hastings Parking 10 am to 2 pm. To see more of what’s on in East Vancouver, check our Event Listing. 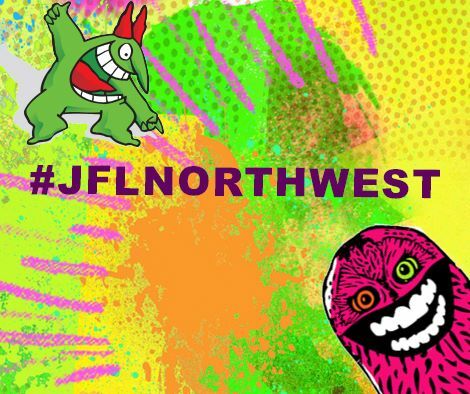 NorthWest Comedy Fest and Just For Laughs have teamed up to bring you JFL Northwest in February 2016. The Festival takes place between February 18 to 27, 2016 and will bring some of the best in comedy with stand up, sketch and improv. They have a great line of shows coming and many, we are pleased to see, have landed in East Vancouver. We have set out below the who, when & where in East Van. We do recommend though that you grab your tickets in advance as we expect many of these shows to sell out. For more details on the comedians performing visit JFL Northwest. Tickets are available at Ticket Fly. The Lady Show is a hilarious night of sketch comedy, monologues, stand-up comedy and awkward dance numbers. Featuring comedian and actress Robyn Edwards (FOX’s Second Chance), Fatima Dhowre (SiriusXM Radio), Morgan Brayton (OUTtv’s Morgan Brayton and Other People), Katie-Ellen Humphries (Winnipeg Comedy Festival), and Erica Sigurdson (CBC Radio’s The Debaters). Joining these five Lady Show ladies is the very funny Sophie Buddle (Just For Laughs). A newly added show – The Just For Laughs ‘big wigs’ will be in town and they’re looking for the next big thing. So come out and watch the local comedians try to impress the ones with the wigs. With a Canadian Comedy Award for “Best Improv Troupe” and international recognition, The Sunday Service presents a fast-paced and unique take on traditional improv. The Sunday Service is Ryan Beil, Caitlin Howden, Kevin Lee, Aaron Read, and Taz VanRassel, along with Mark Chavez (The Pajama Men) and musical director, Emmett Hall. Ryan Beil and Graham Clark riff over top of classic wrestling clips along with special announcer Kevin Banner. Michael Che is currently the co-anchor of “Weekend Update” on Saturday Night Live, where he is also a writer and a previous correspondent for The Daily Show with Jon Stewart. This is a Legends show which is a culmination of the first eight (of 888) years of work from the video alchemists at EIT! These mindfreaks have taken thousands of forgotten VHS tapes, chewed them up, and spit them back to their young via daily website postings, six movies, and world tours. In that time, they’ve exposed their fans to wonders such as massaging cat ladies, apocalyptic facial exercises, pizza parties in hell, and the immortal party-god, Duane. Time pack up your copies of Jerry Maguire and accept the fact that your life up until this moment has been pointless.